We have added the ability to create logic statements into FX Equation. FX Draw will include them in the next release. All of the logic commands are preceded by _. We have added another page to the equation options which allows you to select which symbol appears for each command. 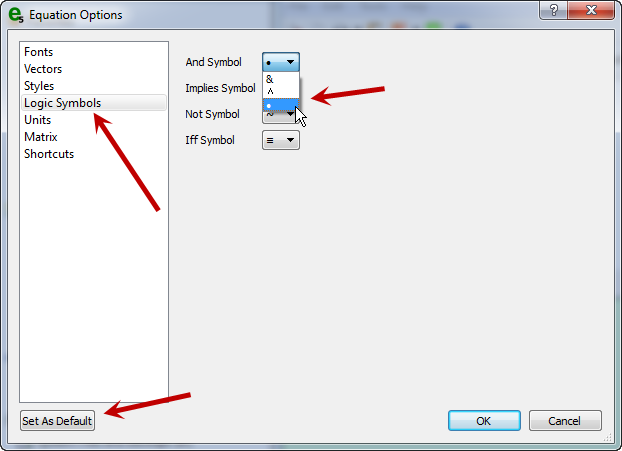 Select your desired symbols and don’t forget to push Set As Default.